Whenever there is an exciting developement in the world of boxers, especially in the area of health research, I will post information here. If you have know of something worthy of posting here, please contact me vis email. Dr Meurs' discovery means that professional boxer breeders now have two weapons available to them to identify and help manage potential carriers of Boxer Cardiomyopathy within their breeding program, more precisely known as ARVC (Arrhythmogenic Right Ventricular Cardiomyopathy). 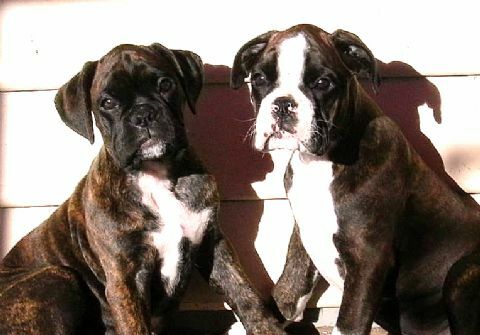 By using these two tests, combined with the Boxer Association of Victoria Heart Murmer screening program, professional boxer breeders in Australia will be able to increase their puppy health profiles and provide owners with healthier puppies. Here at ALCANCE, all of our breeding dogs are screened using the genetic test now available, undergo a 24 hr Holter Monitor and will continue to be registered on the BAOV Heart Murmer Screening Register.